Sixty-four students, including 44 state high school winners and 20 state college winners, competed in the 2017 Cabinetmaking competition of the 53rd Annual SkillsUSA National Leadership Conference held June 19-23 in Louisville, KY. 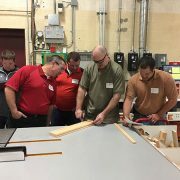 The Cabinetmaking contest was organized by the Architectural Woodwork Institute (AWI) and supported by the Woodwork Career Alliance (WCA). 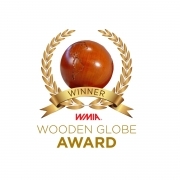 The WCA was represented by students of two postsecondary institutions and six high schools in this year’s competition – all winners of their state competitions. 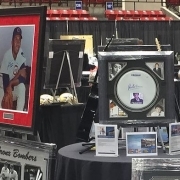 Included were students from Eastern Maine Community College of Bangor ME, and Washburn Tech of Topeka, KS. 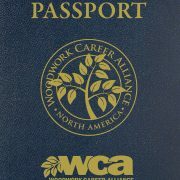 WCA EDUcation high schools that sent students included Saint Johnsbury Academy of Saint Johnsbury, VT; Dale Jackson Center of Lewisville, TX; Oswego High School of Oswego, IL; West Montgomery High School of Mount Gilead, NC; Macfarland High School of Macfarland, WI; and Peyton High School of Peyton, CO.
Cabinetmaking was just one of 98 trades contested during SkillsUSA. Even a small sampling of the staged competitions makes clear the wide range of skills displayed including 3D printing, carpentry, crime scene investigation, nail care, robotics and web design. 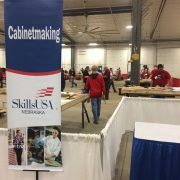 Among the more than 15,000 people competing or attending the event were Kristine Cox, president of the AWI, and Kent Gilchrist, past president of AWI and technical chairman of the SkillsUSA Cabinetmaking competition. Through her affiliation with the Carolinas Chapter of AWI, Cox has been actively involved with SkillsUSA in her home state of North Carolina for nearly 10 years. Other AWI chapters that participate on their state or regional level include Great Lakes, Heart of America, Iowa/Nebraska, New Jersey, Ohio Valley, Texas and Wisconsin. This year’s Cabinetmaking competitors were required to manufacture a nightstand from a supplied design and materials. Students not only had to be able to read the drawings, they had to develop cut lists; cut and fabricate all of the parts using a table saw, laminate trimmer, hand drill, hinge boring machine and various hand tools. The parts also had to be sanded, assembled and adjusted to tolerances specified by the judges. 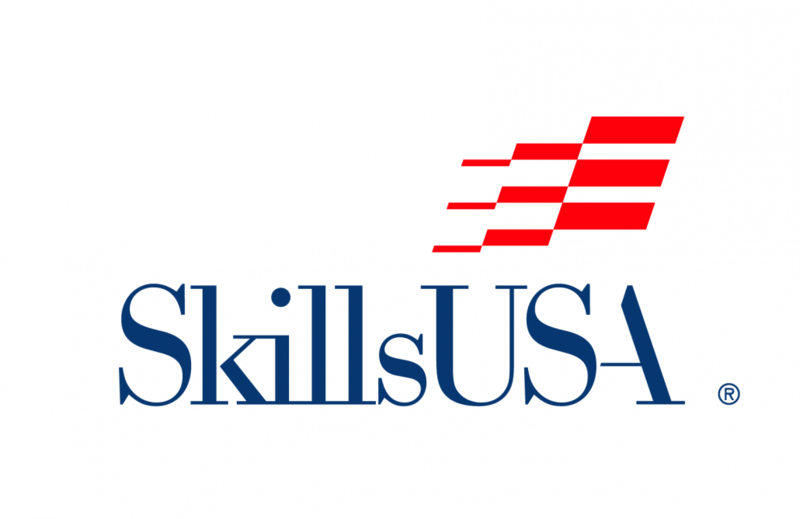 SkillsUSA has grown to include 395,000 members, including students, advisors and industry partners. Putting on the annual national competitions represents about a $36 million industry investment, including about $250,000 for cabinetmaking. 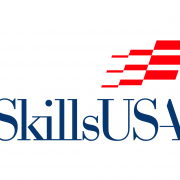 In addition to helping elevate the trades through the National Leadership Conference, SkillsUSA is a strong advocate of career and technical education on state and national levels.